At Air Duct Cleaning Long Beach, we provide complete duct cleaning services for different types of homes, offices or commercial units. We use highly powered HEPA equipment that helps dislodge dirt from source and dispose them properly so that they do not re-enter the ductwork. Our mission is to help our customer breathe clean and fresh air inside their homes or offices all year round. 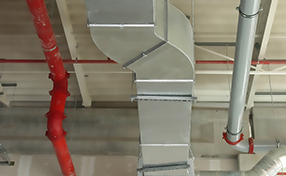 We stress the importance of a clean air duct system and offer long term support to help maintain air ducts and HVAC units. Firstly, you can be assured of a clean HVAC unit that works efficiently and help reduce utility bills. We also help you save on repair costs as the components in the unit will function properly and last much longer. Now respiratory problems owing to poor indoor air quality is a thing of the past and medical costs are reduced, in case of offices, you can expect to see less sick days off and more productivity. 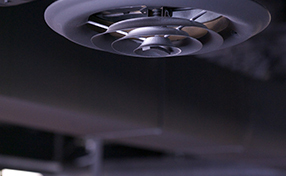 We believe in proper care and maintenance of any HVAC unit as negligence will only cause problems in the long run. Get our skilled technicians to perform an extensive maintenance service on the system and you will notice that it runs more efficiently and there is less wear and tear. Furthermore, we can check for even minor problems and rectify them before they turn into a major issue and cause the system to breakdown completely. 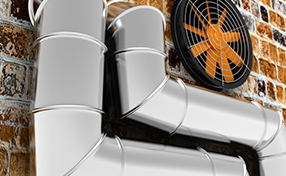 Call "Air Duct Cleaning Long Beach" today and speak to our representative. You may just have a long list of unanswered questions, or want our technician to assess the ductwork as you suspect there is a problem. Contact us through the phone or the website as we are ready to assist you at all times!